A quest for a new mouse ‹ It's free. 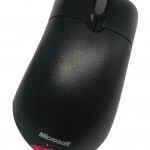 I’ve been looking for a replacement for my basic Microsoft optical wheel mouse for a long time. Last night I thought I was going to find a mouse that’s good for me and is not Microsoft. Above: This is where the journey starts. No useless buttons. I want two buttons and a scrollwheel. Definitely no thumb buttons. This also concerns any weirdly placed rubbery non-functional logos. Yes, I am pointing at you, Logitech. Classic design. I want a really basic mouse, which doesn’t have a weird design, even if it might have looked cool on the drawing board. Corded. I hate cordless mice, even if they seem to be useful and are more mobile. I don’t have an infinite amount of batteries. Especially at the moment when the batteries are running low. Big enough. I want to feel my mouse and squeeze it. I’m not that bad at Googling. Or am I? Well, I actually found a mouse which I am relatively interested in. 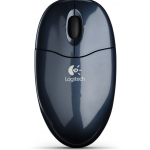 The mouse is Logitech LS1. It does have one more feature than my current mouse – horizontal scroll – but that’s something I definitely could start to like. The price is not too bad, as I also have to take the possibility of having to dump the mouse into account. The problem is that I can’t find the dimensions of the mouse. I’ve read that it’s smaller than most of the Logitech mouses, but how much smaller? I’ve also understood that it’s bigger than most of the laptop/mini mice. I don’t need the dimensions of the box the online retailers tell me with pleasure. I’m not going to buy it online anyway. Well, it is definitely the time to change my mouse. Tomorrow I’m going to go to some stores to look at mice in real life and actually touch them and feel how they …feel like. My other option is also from the Logitech range, the very basic Pilot mouse. If the LS1 doesn’t satisfy me, I’m not sure whether I will buy the Pilot mouse, but at least I have an option now. 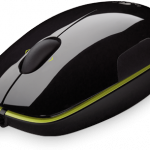 The pilot mouse also seems to have the horizontal scroll function, so it would also be improvement comparing to my current mouse.